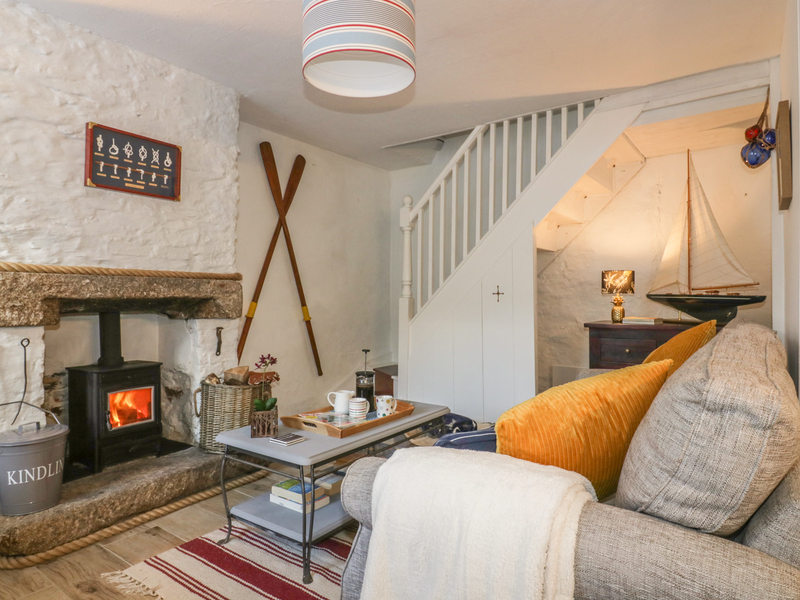 14 Cliff Street is a charming cottage situated in the village of Mevagissey, Cornwall. Hosting three bedrooms; two doubles, and a bunk room, along with a shower room, this property can sleep up to six people. Inside you will also find an open-plan living area with kitchen, dining and sitting areas with two log burners, and a utility room. To the outside is roadside parking 10 minutes walk or public car park in the village, and an enclosed courtyard with storage and furniture. Resting in a delightful setting with much to explore nearby, 14 Cliff Street is a lovely retreat where the harbour, beach, shops, pubs and restaurants are all only a few minutes easy walk away. 2 x log burners and electric panel heaters. Electric oven and induction hob, microwave, fridge/freezer, washing machine, dishwasher. TV, DVD, WiFi, selection of books, games and DVDs. Fuel and power inc. in rent. Starter pack provided for woodburner. Bed linen and towels inc. in rent. Roadside parking 5 minutes walk or public car park in the village. Enclosed courtyard with storage and furniture. Two small well-behaved dogs welcome. Sorry, no smoking. Shop and pub 1 mins walk. Please note: No stag/ hen or similar allowed at the property.